Welcome to my podcast! I am excited to launch this podcast (and I’m a bit nervous!) Some of you know me as a social media strategist, speaker, author or entrepreneur. But, like so many of us, I wear multiple hats. In this podcast, I plan to share with you more about what makes me tick, my backstory, how I think about business, parenting and so much more. And of course this wouldn’t be a Katie Lance podcast if we didn’t talk about social media from time to time! 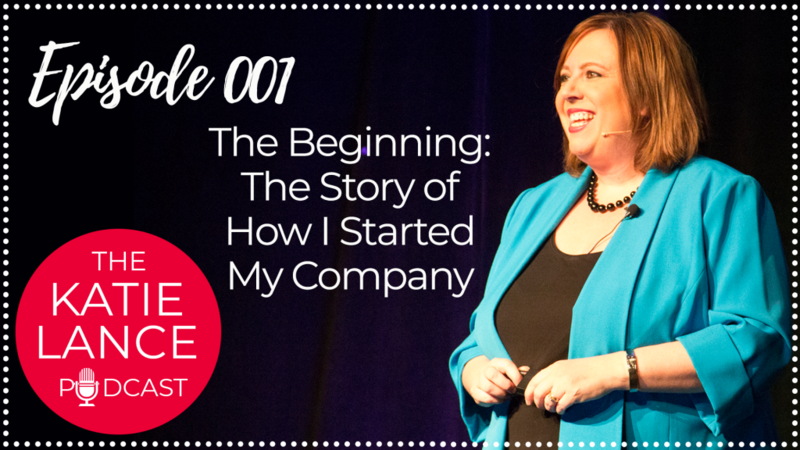 In this episode I am taking you behind-the-scenes to share with you the how and why I started our consulting company. I get asked about this all the time and I thought it would be great to tell the story as well as some lessons learned along the way. Lean into what you know you are good at – be confident in your talents!